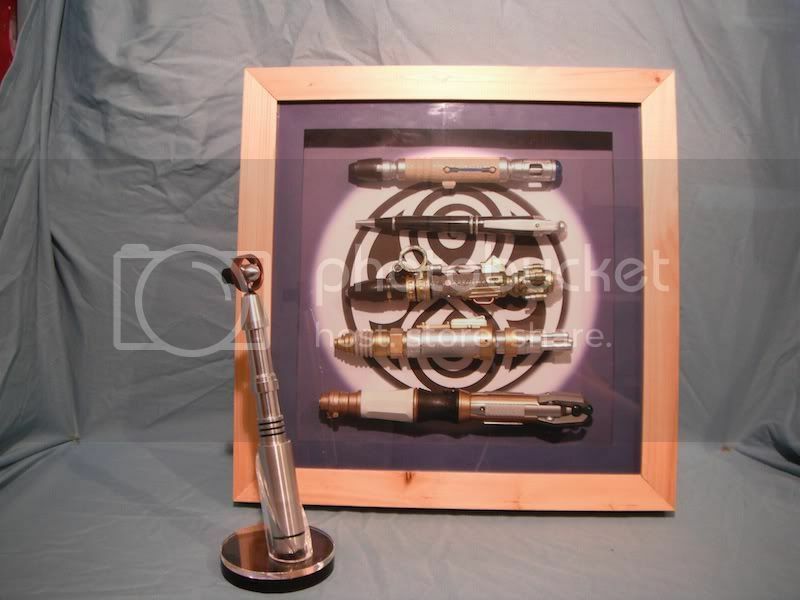 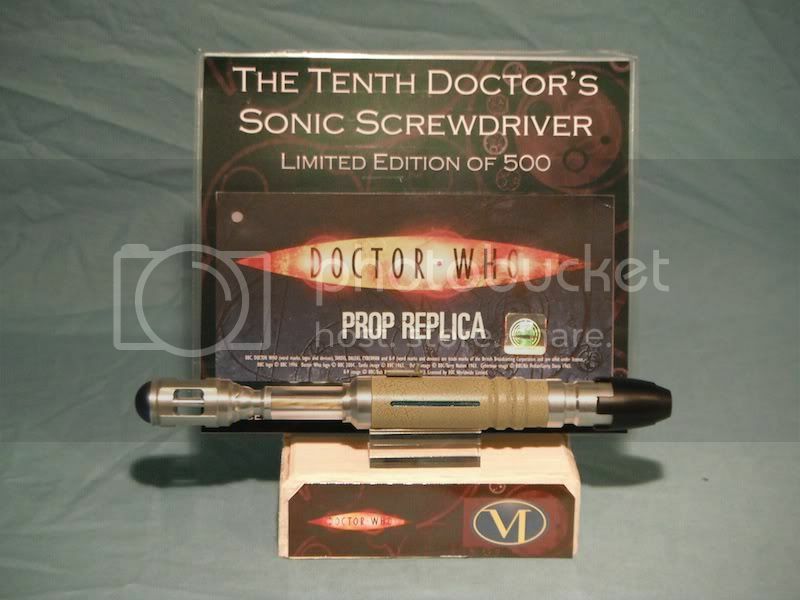 A mix of old and new merchandise props and artwork. 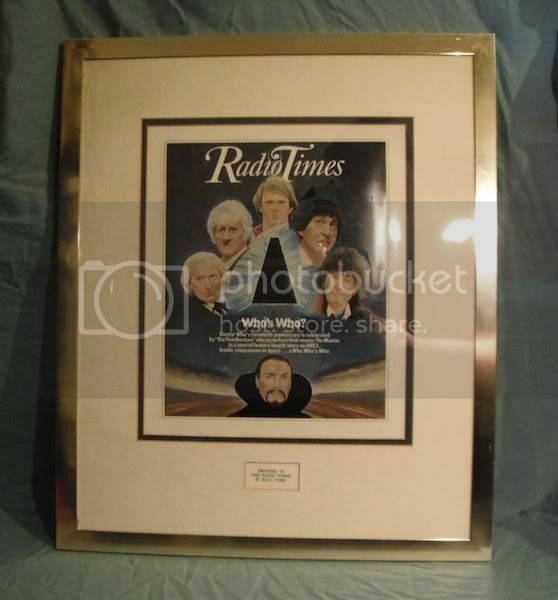 Radio Times proof cover artwork. 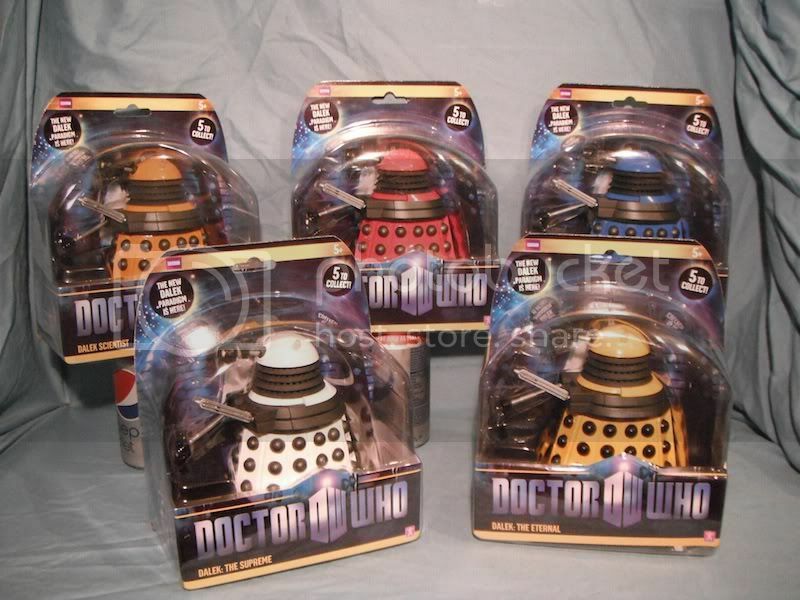 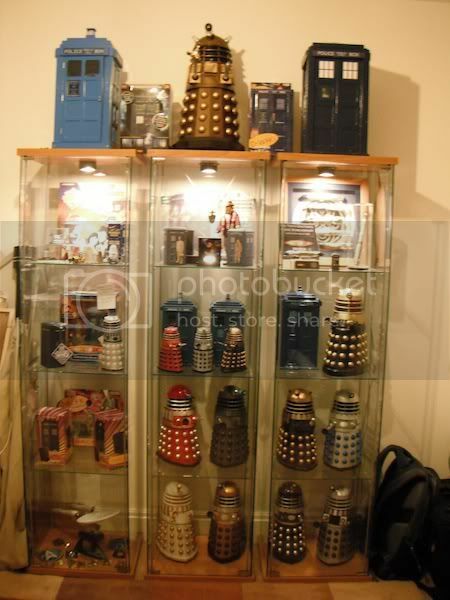 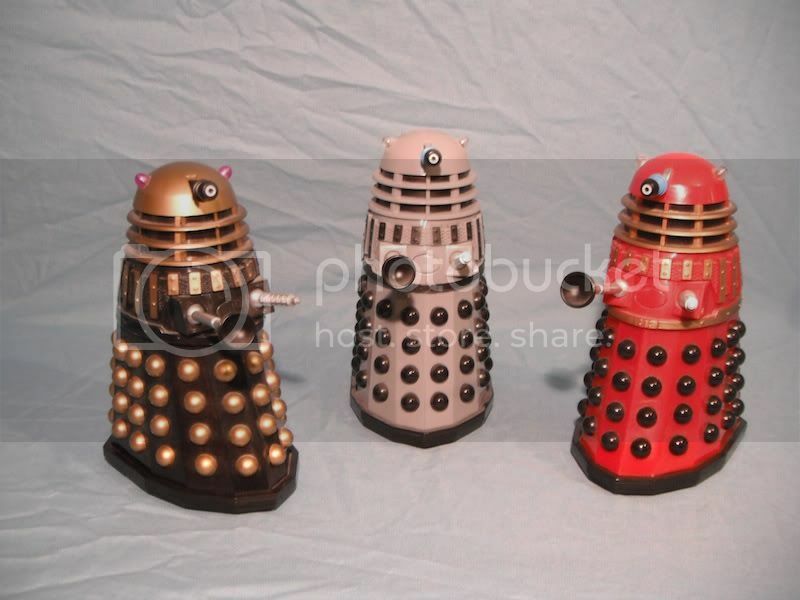 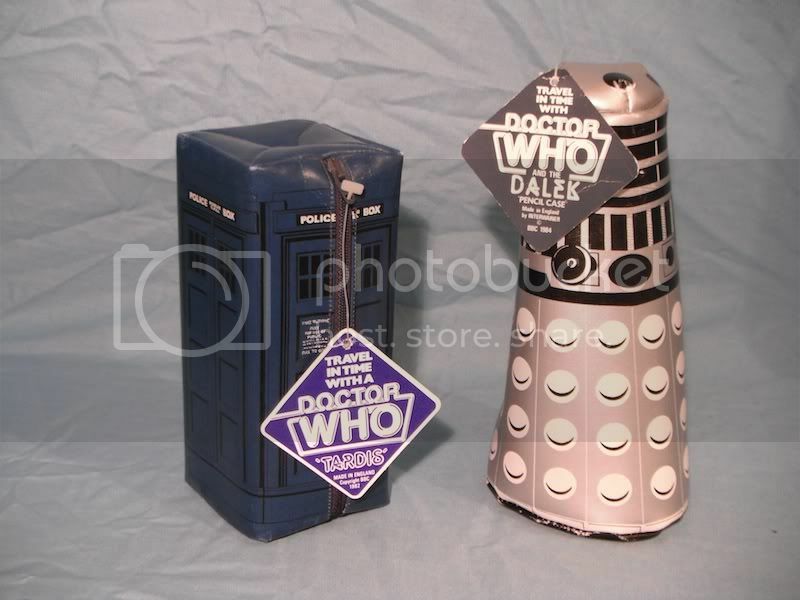 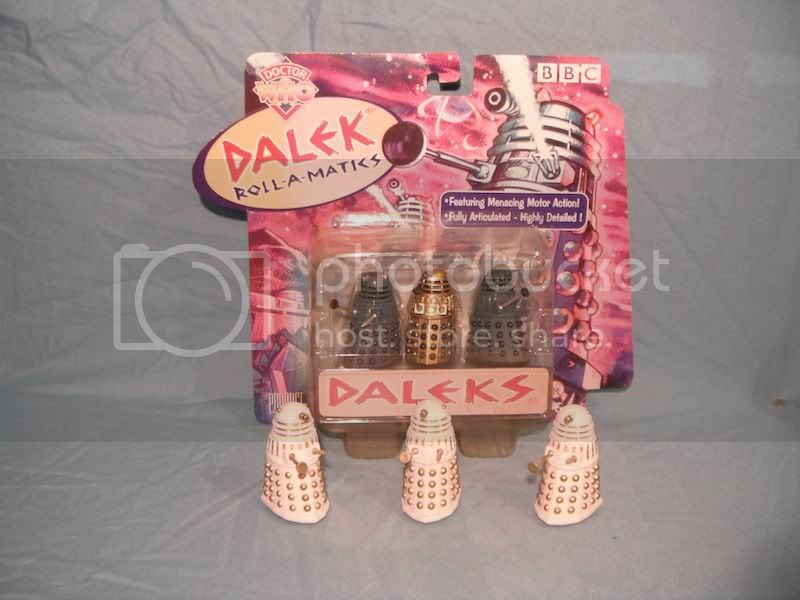 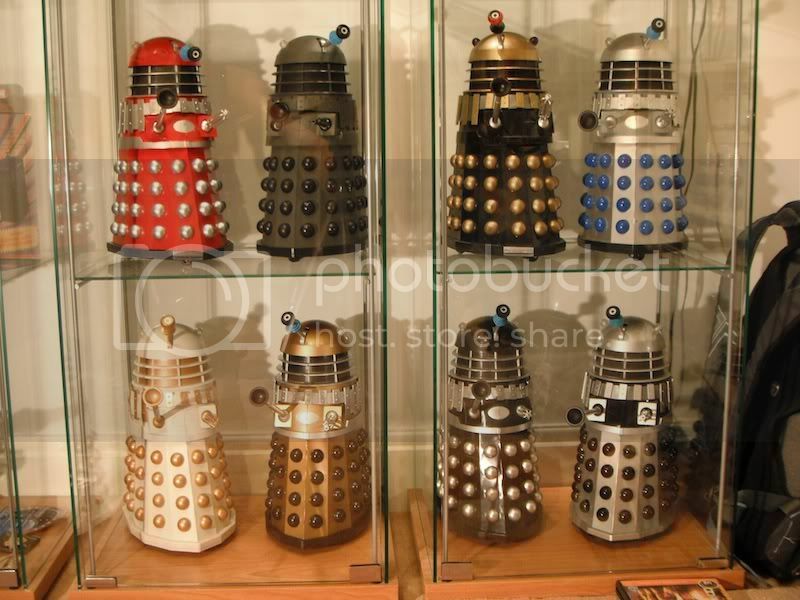 8 Product Enterprise 12" Remote Control Daleks. 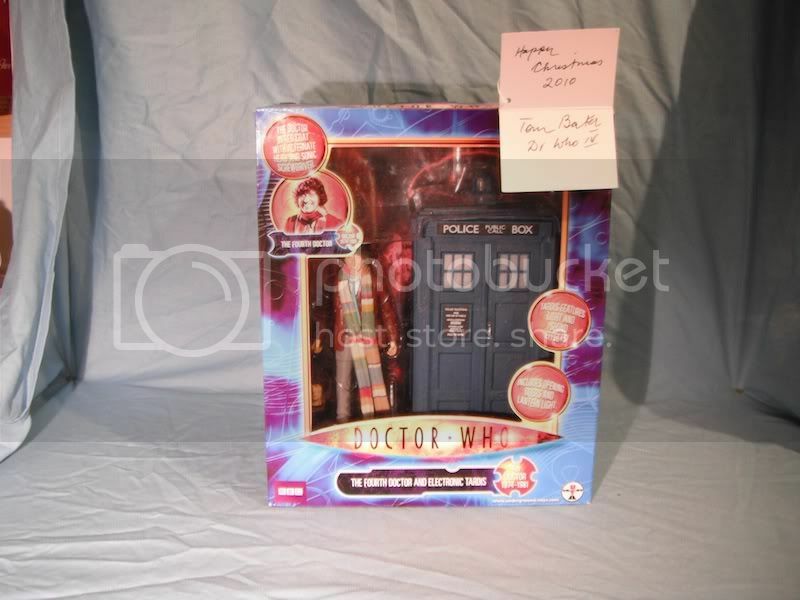 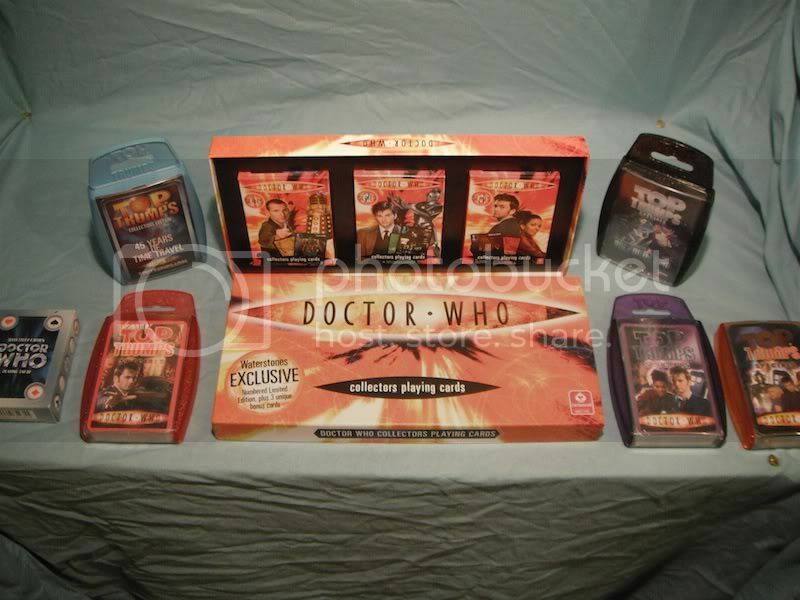 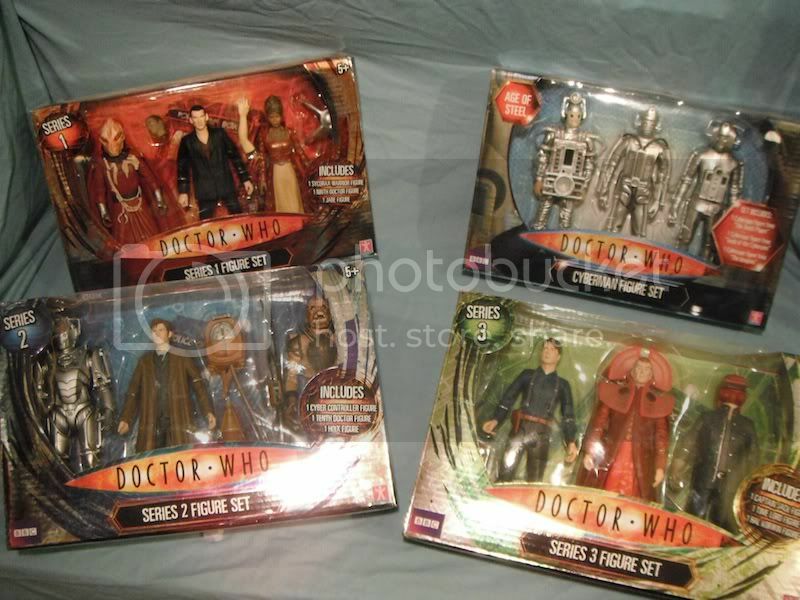 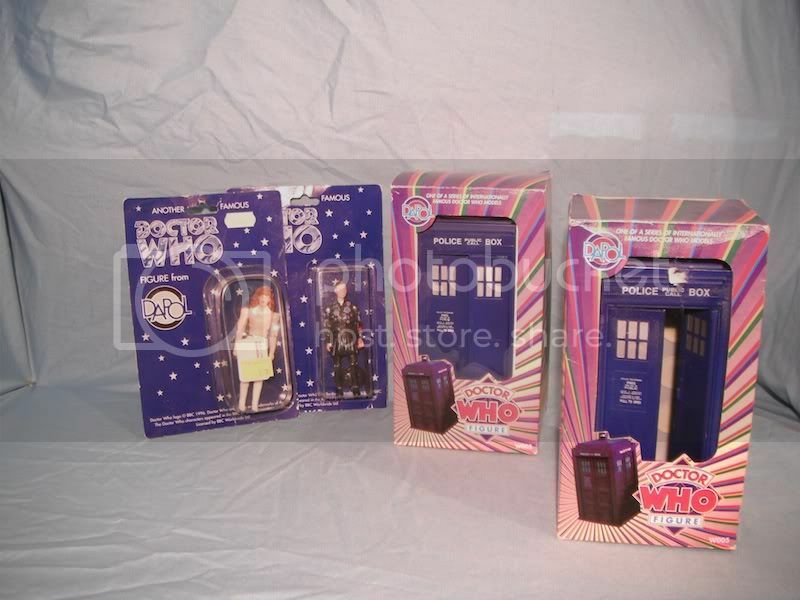 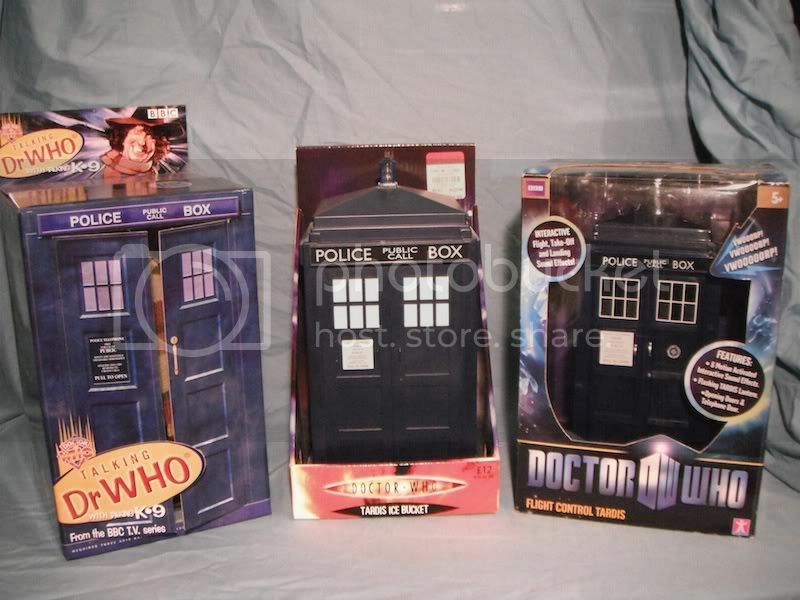 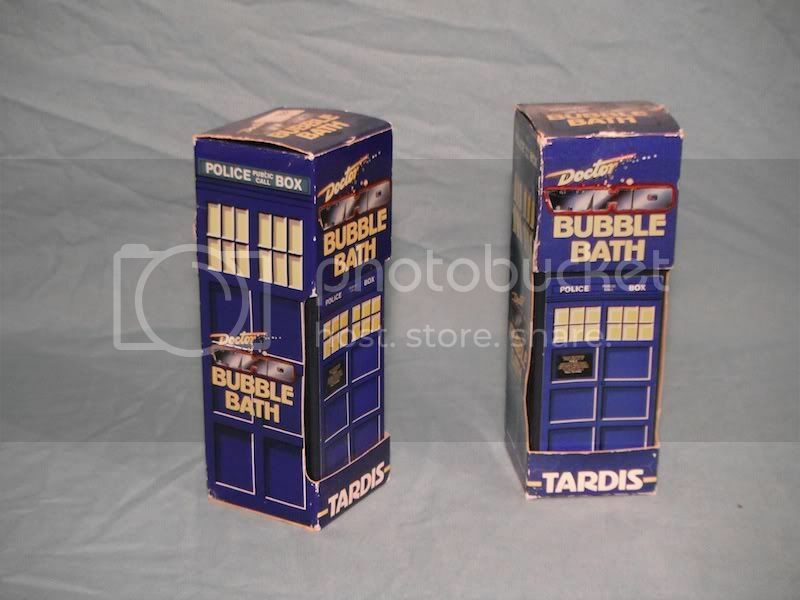 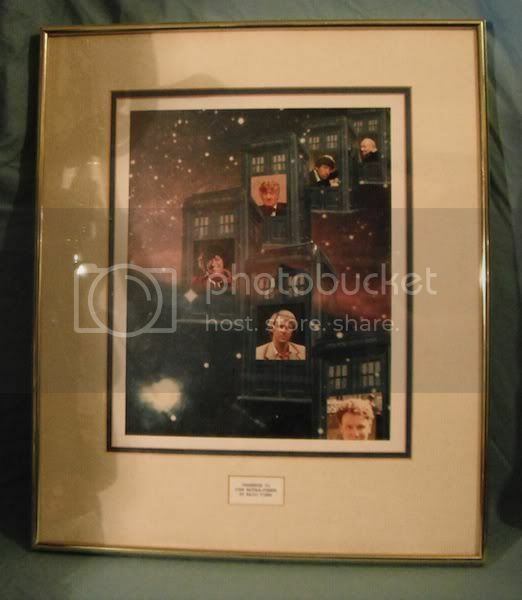 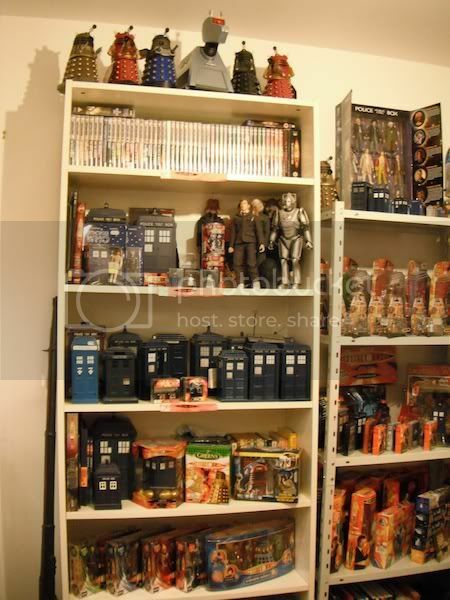 A Tom Baker figure and TARDIS donated by TB for a charity auction. 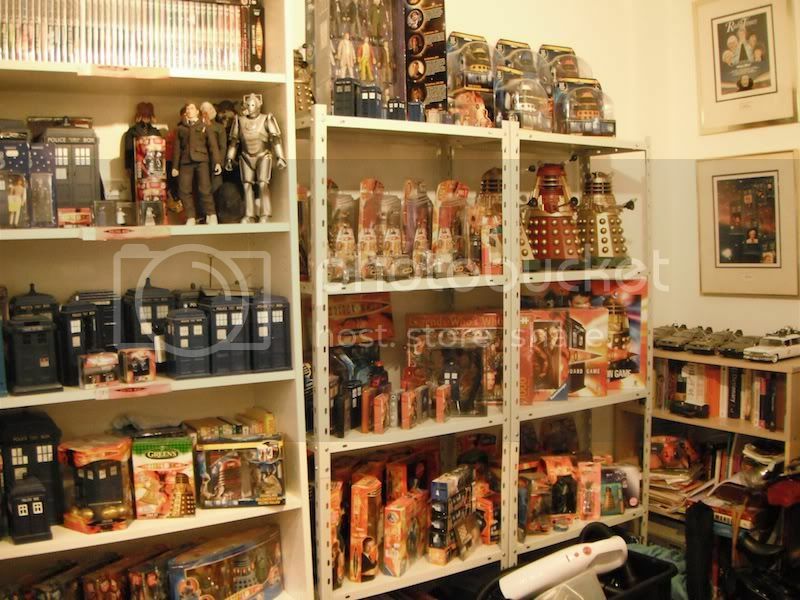 All of the pictures on this page are the property of Christian in Tewkesbury and may not be used or reproduced in any way without his explicit written consent.